Well, it’s been hard. Harder than expected. Cutting out white foods are not the problem, it’s those dang squats. I have never pushed my body this much, except when I broke my leg. I lost about 15 lbs just trying to get off my bed and use the bedroom. I broke all three bones that connects my foot to my lower leg, including my fibula. To repair it, a plate and eight screws added for stability. Two of the screws were drilled through my fibula into my tibia. I had started working with a trainer, about 6 months afterwards, which caused me to break one of the screws. Needless to say, I had to have a second surgery to remove the two long screws. There will always be a piece of the screw embedded in my tibia. The second surgery allowed me the ability to move and use my leg the way it is meant. The only problem I have now is that I can feel it, when I apply pressure on that leg, i.e. squats. It doesn’t hurt, but I am well aware of the metal presence. What i do know is that I am not a workout girl. So, whether I had the injury or not, this would still be difficult. Trying to get your big body to do what it needs is not an easy task. I do know that I am starting to lose inches again. I don’t measure. I snap pictures, which I haven’t done in a while. I may do some today. I am also aware that my clothes are looser. I’ve increased my protein intake, to help continue build my muscles. I think the squats are going to really help me with my Color Vibe run coming up. So, I am absolutely committed to completing this challenge, although it is not perfect. I don’t think perfect is the intent anyways; it’s the effort. I went to my endocrinologist on Friday to check my Vitamin D levels. My levels should have increased for sure. I’ll find out this week what my numbers are. I also went to see a dermatologist, for my itchy skin. I have assumed that I have a food allergy, but I think it’s my detergent. I changed up everything I use externally, such as soap, lotion, detergent, and moisturizers. The itching had gotten better immediately, after washing my clothes and bedding, which is why I am almost certain it’s my detergent. We shall continue to see. As you all can see, I am still absolutely committed to changing my life. My process is slow. You are not going to come here and see me posting 5-10 lbs lose in a three-week period. This is truly me making an honest effort to change the way I think and live my newfound healthy life. If I gave perfect, then you should know I am lying. These are things I want to continue, for the rest of my life. I am not interested in temporary or fast fixes, which is how JJ Smith teaches anyways. 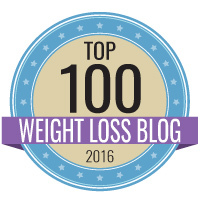 This entry was posted in Weight Loss Journey and tagged Body Image, Exercise, Health Care, healthy-living, Vitamin D, Weight Loss, Weight Loss Journey. I got my results back for my Vitamin D levels, and they are really low. According to my doctor, I should be around 35. I picked up some supplements and a prescription today. The prescription is for 50000 mlg to get it up fast. I will take this dose, once a week for the next 8 weeks. My blood pressure is pretty close to normal at 124/72. Whatever kidney test he did, it’s also normal due to the drop in my blood pressure. This entry was posted in Weight Loss Journey and tagged Food, Health, Obesity, Vitamin D, weight gain, Weight Loss.